Extended Depth: 950mm 37 1/2"
Our wine storage case racks are manufactured from 1” square box section steel that is powder coated black and 18mm thick pine wooden shelves. 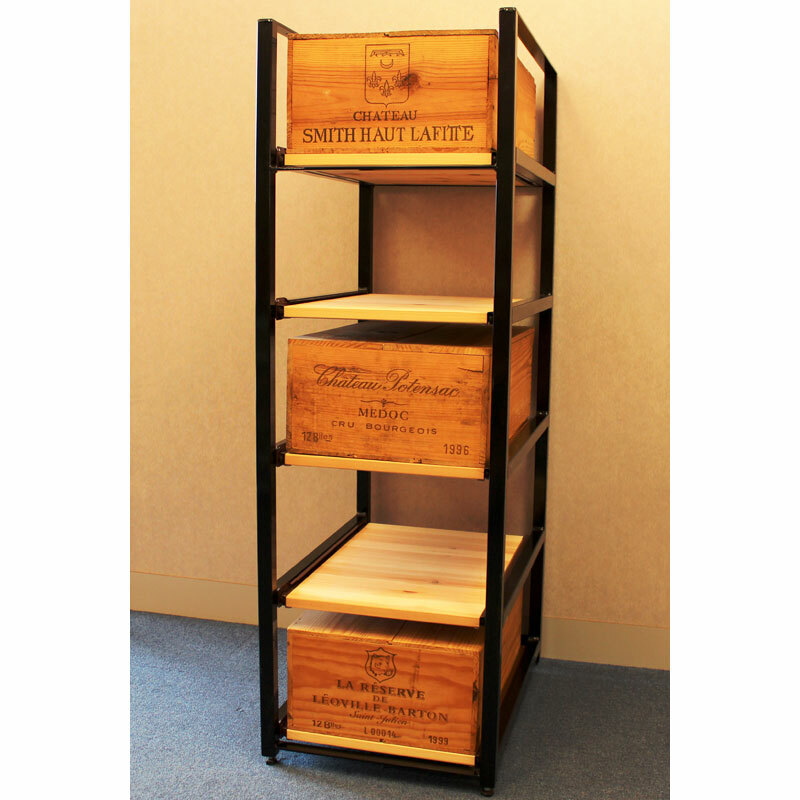 The wine case’s feet are fully adjustable and we advise that the wine storage case racks are screwed to the wall using the holes provided for safety reasons. 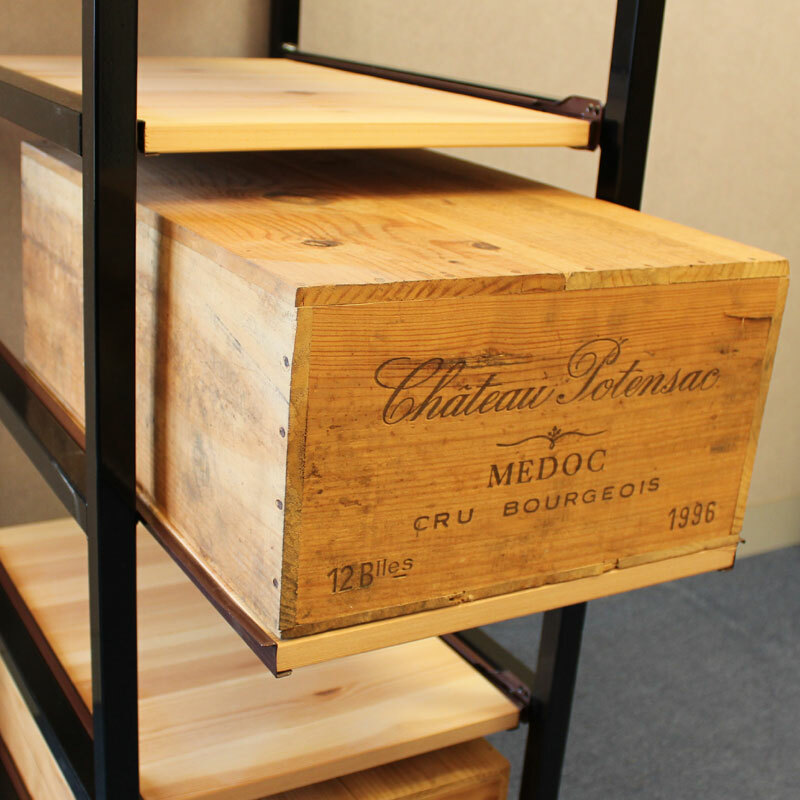 The wooden sliding shelves are designed to hold 12 standard bottle cases (Bordeaux and Burgundy cases 510mm x 330mm x 200mm) and allow for easy access, you can choose from Natural Pine, as well as selection of colour stains including Dark Oak, Oak, Light Oak, Black and Mahogany. 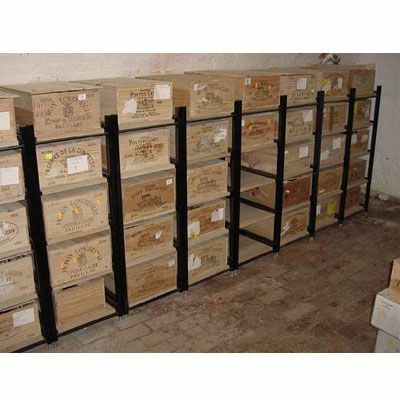 Please Note: The Wine Boxes/Cases are NOT included.